Anil Khandelwal and H.N. Sinor’s resignations came after a year-long struggle between the board’s independent directors and the promoter over a wide range of issues. H.M. Sinor and Anil Khandelwal. Mumbai: It is the season of resignations for the independent directors of India Inc’s corporate boards. The recent stormy exit of R. Chandrashekhar from the board of Yes Bank caught the media’s attention, after which the private sector lender had to issue an apology to the stock exchanges and retract its earlier statement that his resignation was on “personal grounds”. And this is crux of the problem – very few independent directors today state the actual reason for suddenly resigning. While Yes Bank’s troubles have received wide publicity, what has gone under the radar are recent board-level exits at JM Financial Asset Reconstruction Company (JMFARC), in particular, the resignation of Anil Khandelwal, former chairman and managing director of Dena Bank and Bank of Baroda, from the independent directorship of JMFARC. This lack of media scrutiny comes despite Khandelwal’s lengthy resignation email (dated October 27, 2018) which provides sharp insight into the governance practices of a company from the prestigious JM Financial stable, a group known for its investment banking and advisory services to some of India’s biggest business houses. As per the company’s FY’ 2018 annual report, the major shareholders are JM Financial (57.1%), Narotam Sekhsaria (16.5%) and nationalised banks such as Indian Overseas Bank, UCO Bank, Union Bank of India and Central Bank of India, who collectively own 14.5%. Therefore, even though the company is unlisted (unlike the parent, JM Financial, which is listed), important developments in JMFARC are matters of public interest. Khandelwal’s resignation letter is publicly available from the company’s filings with the Registrar of Companies, and should be mandatory reading for students of corporate governance. There are no niceties of resigning for “personal commitments” or having other more pressing “professional commitments”. “I for one got an impression that the company’s perception about governance issues are in wide variance to my own understanding about a transparent governance process. In the absence of any positive intent and assurance to take concrete steps on the issues raised by IDs [independent directors], I am constrained to resign from the board of the company (guided by my conscience) with immediate effect.” (Emphasis added). Some of the specific issues he raised shine a light on the issues a family-managed company faces when its appoints independent directors who actually exercise their independence. In an interaction with company officials on November 27, this writer was informed that there were four specific issues raised by the independent directors. The first was that the board should have a formal board evaluation process of performance appraisal and communication among the board directors for active participation. The second issue was that all compensation of board members should be routed through the nominations and remuneration committee of the board. The third issue was the presence of Vishal Kampani, CEO of JM Financial, who is not a director of the company, but was an invitee of JM Financial Asset Reconstruction to the board meetings. The Reserve Bank of India too had apparently raised observations on his presence on the Audit Committee meetings of the company. Finally, the independent directors raised the question of executive powers being given to the non-executive chairman. They were particularly perturbed over the lack of transparency regarding the remuneration paid to Adi Patel, a non-executive director in the year that ended on March 31, 2018. As per the company’s annual report, Adi Patel, who has been associated with the JM Financial for over 24 years, was appointed as a non-executive director on July 21 2017, and in FY’ 2018 attended only a single board meeting. During FY’ 2018, subsequent to his joining, the board held two additional meetings, on October 13, 2017 and January 15, 2018. Despite attending only one board meeting, the company gave him Rs 90 lakh as commission in FY’2018 while other non-executive directors received between Rs 6 lakh and Rs 7.5 lakh each. There is no explanation in the annual report regarding why Patel, as non-executive director, was entitled to such an extravagant commission, or what specific service he had rendered to deserve such a payout. Although the board cleared his commission, the independent directors were unaware of why he was given the commission, and subsequently it became an issue of contention with the chairman. Normally, the remuneration of the executive and non-executive directors goes through the Nominations and Remuneration Committee, but the commission to be paid to non-executive directors is discussed at the board, where the executive directors play a critical role, on the principle that one cannot determine one’s own commission. Similarly, the independent directors were uncomfortable with the presence of Vishal Kampani on their company board meetings, and even on the Audit Committee meeting, and were perturbed that the RBI had also pointed it out as an observation in their inspection. Although the management defended his presence as an invitee, the presence of a promoter who is not a director in board meetings undermines the chair, and disturbs the decorum and proceeding at board meeting as an extra-constitutional authority. The independent directors were also concerned regarding the executive powers exercised by the non-executive chairman. In particular, they raised objections to resolutions which authorised the non-executive chairman to jointly sign and execute agreements on a variety of issues. These include the delegation of power to borrow money jointly with the CEO, authority to appoint trustees/rating agencies, valuation agencies, registrar and transfer agents, for raising commercial paper sign documents on behalf of the company to obtain credit rating, and authority to sign the paperwork for bank guarantees. Such authority is best exercised by the senior executive management such as CEO, and other key management personnel and non-executive chairman by their very designation are not supposed to have such responsibilities. The management of JMFARC, however, felt that as a matter of convenience and flexibility the non-executive chairman (NEC) should also have such responsibilities as a fallback option. The website of the company also strangely includes the NEC as a key management personnel, thus publicly highlighting its inability to distinguish between an executive chairman and a NEC. In a corporate board, the final authority ends with the chairman, but in promoter-managed companies, when the promoter is not on the board, his authority supersedes the chairman. Hence the independent directors of JMFARC, sensing the chairman’s inability to address the corporate governance concerns, finally decided to approach Vishal Kampani himself. It appears likely that after the meeting with the promoter, the concerns were not resolved satisfactorily. H N Sinor, the senior-most independent director, submitted his resignation with immediate effect a day after the meeting on October 25, citing completion of 10 years on the board, “in the true spirit of Companies Act guidelines”. Khandelwal penned his more sharp resignation letter two days later, on October 27. 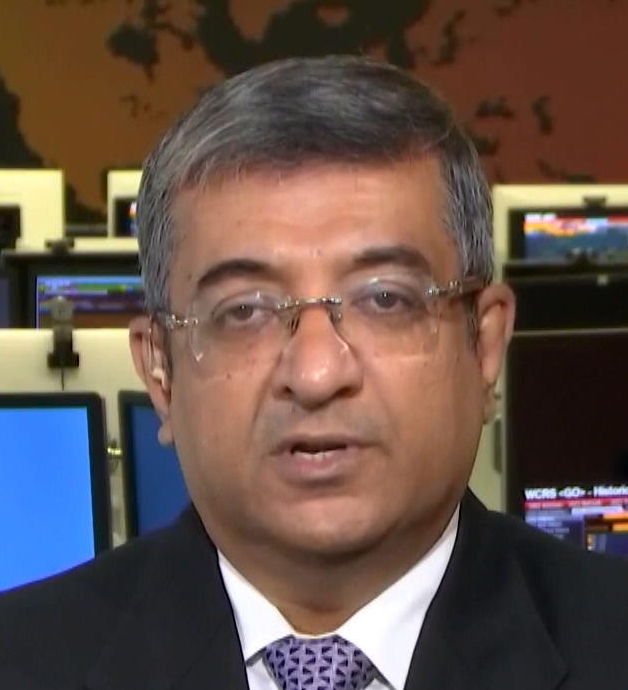 In an interaction with this writer, the management of JM Financial ARC stated that they are compliant with corporate governance practices, and that the executive functions to the non-executive chairman, the commission paid to Adi Patel, and Vishal Kampani’s presence at board meeting had all been approved by the board, and hence the independent directors should not be objecting. On the other hand, the independent directors’ views are that even if they had approved these decisions, they subsequently realised that such approvals were not in the best interests of the company. And that they then wanted the company to overturn these decisions. It appears, from the resignations of Sinor and Khandelwal, that the company management, and most importantly, the promoter, were unwilling to concede. 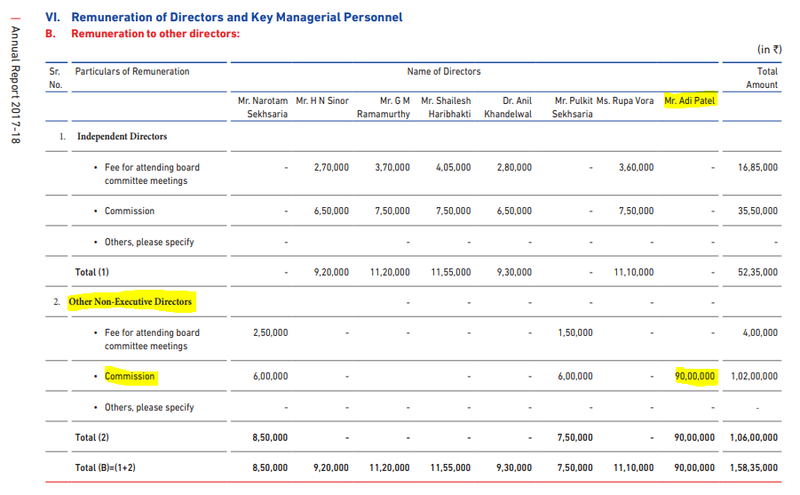 To outside observers, Khandelwal’s resignation is an eye-opener regarding how a supposedly professional board, which includes some independent directors, is unable to implement basic corporate governance hygiene practices on account of a promoter who, though not being on the board, wants to play a decisive operational role. In such boards, there is no difference between executive and non-executive functions of the non-promoter chairman. Non-executive directors can be arbitrarily rewarded without any disclosure to the board, and the promoter can be “invited” to attend board meeting and be present in the crucial Audit Committee meeting, even disregarding the disapproval of the regulator. In this case, when the independent directors realised that certain earlier practices of the board needed to be revised, they raised the issues at board meetings, took the matter up with the chairman, and, when nothing was happening to address their concerns, had a meeting with the promoter, only to realise it was in vain. Fortunately for the public, Khandelwal did not offer up the usual bromides about his personal commitments having forced him to quit and instead provided an example of how India Inc’s independent directors should perform their duties.